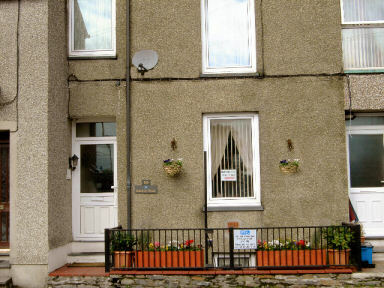 Bluebird House B&B Porthmadog Gwynedd - Quality at Budget Prices! Bluebird House B&B nestles on the edge of the Snowdonia National Park in the centre of the harbour town of Porthmadog. A small family run Porthmadog B&B with views overlooking the estuary and the new highland steam railway as it meanders' past llyn bach to join the famous Ffestiniog Railway. Accomodation also available lower ground Family unit consisting of double bed lounge, twin bedroom and en-suit bathroom. There is also a Twin Room with shared bathroom facilities. TV, DVD, Hospitality tray with tea, coffee, hot chocolate and biscuits & Towels and Bathroom Cosmetics. Two types of breakfast are supplied in all prices. Bacon, Egg, Sausage, Tomatoes, Beans. Short Stay and Singles Welcome.